Gordie MacKeeman and His Rhythm Boys in Montreal or Quebec City? Inform me about the next events for Gordie MacKeeman and His Rhythm Boys. Enroll yourself to our priority waiting list for Gordie MacKeeman and His Rhythm Boys to be alerted when new tickets are available. Filling this form doesn't engage you to any purchase. Gordie MacKeeman and His Rhythm Boys is coming to Montreal and you need tickets? Buy quickly as this musical bomb is all the rage around the world. 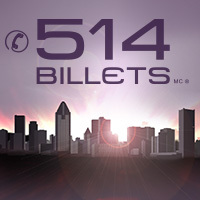 514-Tickets will allow you to get your hands on tickets of all kinds. Our extensive inventory allows us to offer you a wide variety of events, popular rock concerts, hilarious comedy shows or an exciting hockey game. 514-Tickets offers you a 100% Satisfaction Guarantee, with priorty express shipping. Call 514-245-5387 and our dynamic team will be happy to answer all of your questions. Enjoy your experience shopping online at 514-Ticket.com.